I've had a whirlwind of a week to say the least. From the UK to Germany and back again via a spot on a Social Media Week panel with my CyberMummy partners Susanna and Jen. Our 'Meet the bloggers' session was hosted by social media guru Eva Koegan and we were joined on the panel by the brains behind #Blogladesh Liz Scarff and some of the guys from the boutique blogger channel that I am part of, Handpicked Media. It was really interesting to hear the views of my contemporaries and our comments threw back lots of reactions from the audience so it was a job well done. 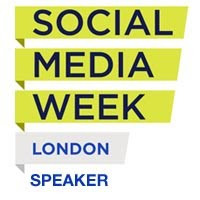 To celebrate Social Media Week #smwldn, Kodak have given me one of their new PLAYTOUCH video cameras to give away to one of my readers. This is an great camera with easy to use functions like edit, tag and uploads directly to all your top social media sites like Facebook, Flickr and YouTube. 1. Leave a comment on this post with your with your answer to the below question. 2. Subscribe to my blog (if you don't already do so), using the form below. If you don't subscribe I won't be able to contact you if you win. The new Kodak Camera is called PLAY........what? (A little clue to the answer can be found in the next sentence and in BOLD CAPITAL letters! The Kodak PLAY TOUCH camera retails at £169.99. Full spec is available from the Kodak site. Good luck! is it... TOUCH? :P Looks like a fab little camera - I keep toying with getting one, as my ancient camera will record video... but with no sound. Bit pointless really! Now I think TOUCH might hit the 'button' - and if I won it would stop me borrowing my son's new camera - much to his annoyance - as mine is 'kaput'! I'm going to take a wild guess and say TOUCH! Touch - looks like a fun object! TOUCH (and thank you for the clue - most kind!). Something I will not let my 3 year old son do to my next camera as he decided to delete all the photos off the last one!!! 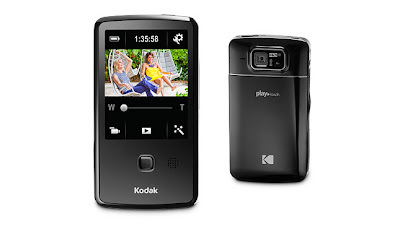 I would like to win the Kodak PLAYTOUCH video camera. Fingers crossed. If I win I promise not to smash the screen!! Camera looks great I love how you can upload straight to your social network sites... So much fun to be had and shared with my friends!! Would sooo love to win this! Thanks for running!